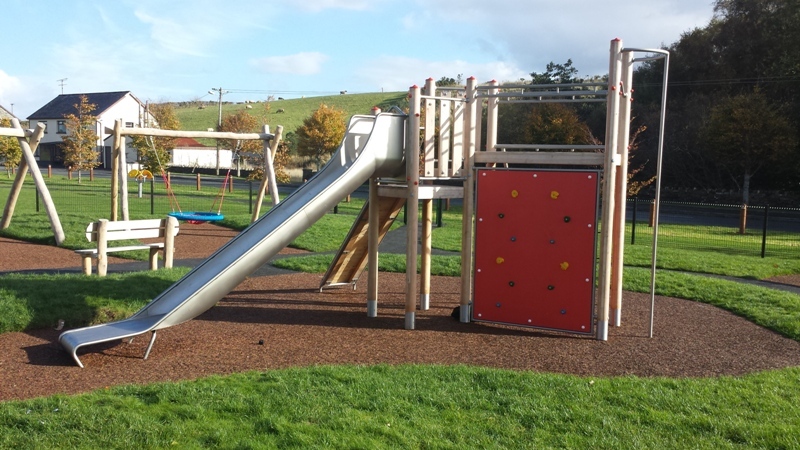 This complex climbing structure provides a challenge for older children. Climbing and scrambling are important in a child’s development, stimulating strength, agility and body control. The equipment allows children to push the boundaries of their balance and climbing abilities within a controlled and safe environment. Every angle starts as a challenge and ends as a victory. The slide offers a steep beginning for quick acceleration making it the most exhilarating way to reach the bottom. The variety and safety of this piece provides functional play and fun.